Forget the fabled pot of gold! 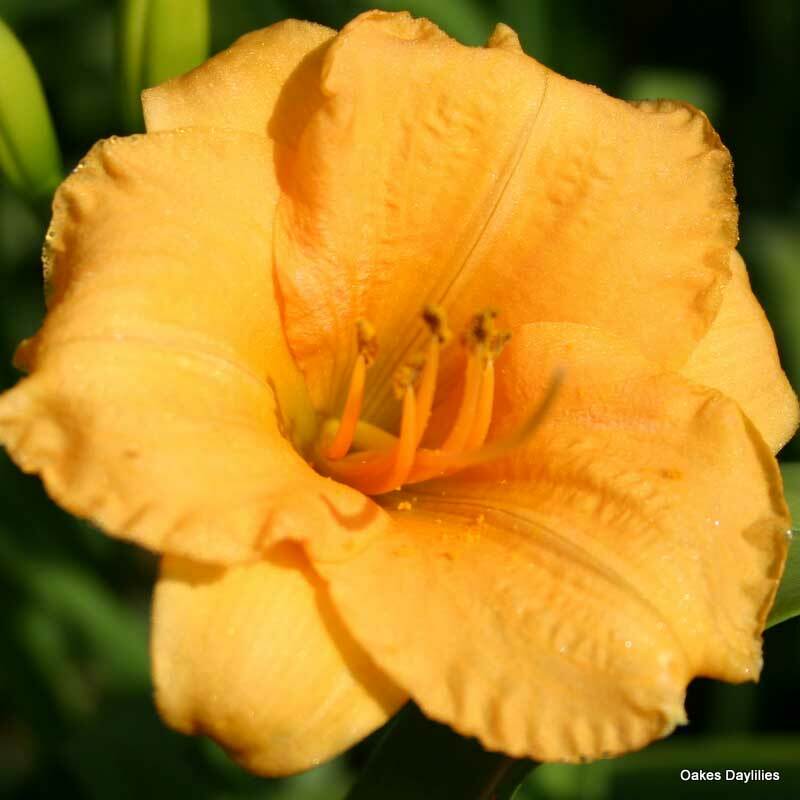 When chasing rainbows, smart leprechauns look for daylilies! 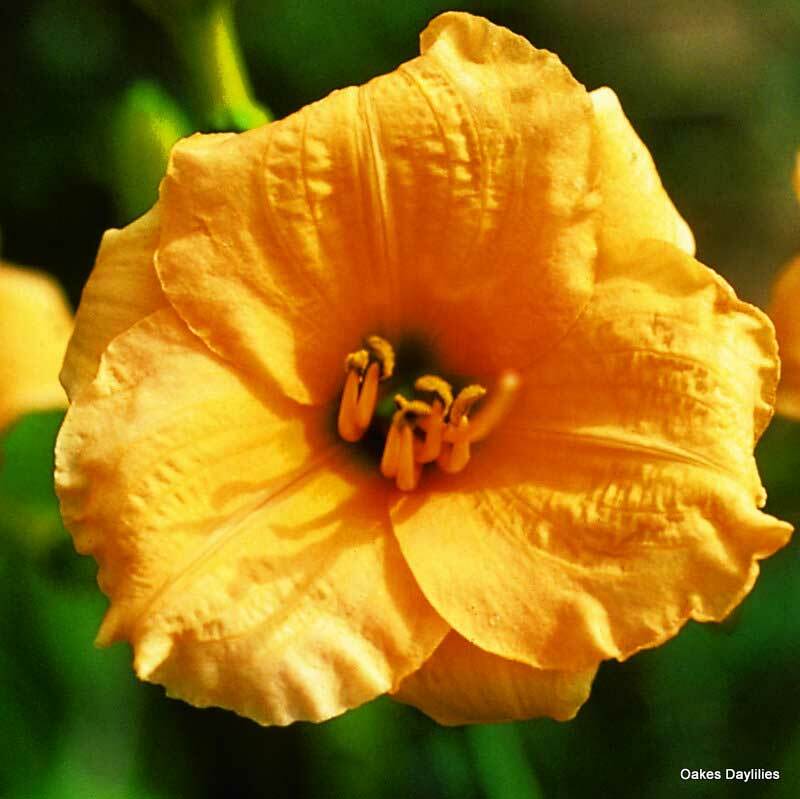 This beauty has tiny golden blooms that almost look like gold coins. An excellent rebloomer. Received these as free plants a few years ago. They are blooming now and have bloomed throughout the summer. How nice to have flowers in late Sept.!! Better if grown in large groups. As a specimen planting, it’ll get lost among your other plantings. I am not fond of miniature flowers. For my money I stick with big, bold, flowers and colors. Does not rebloom well for me. I received it as a free plant so I can’t complain too much but Oakes has a ton of prettier varieties! Pretty little lily of clear gold. Due to loads of rain, the scapes are about 24″ tall this yr. I got this one as bonus in my order last fall. I am glad you sent it to me. I have it in the front of my bed (due to its low growth). Love the fact that it reblooms. You get a lot of BANG for the buck. This little gem established itself right off the bat. The big, healthy fans I received filled out in a hurry. I had ordered late in the season for this variety and didn’t expect much, if any, bloom time this season. I was surprised by a relatively prolific bloom. 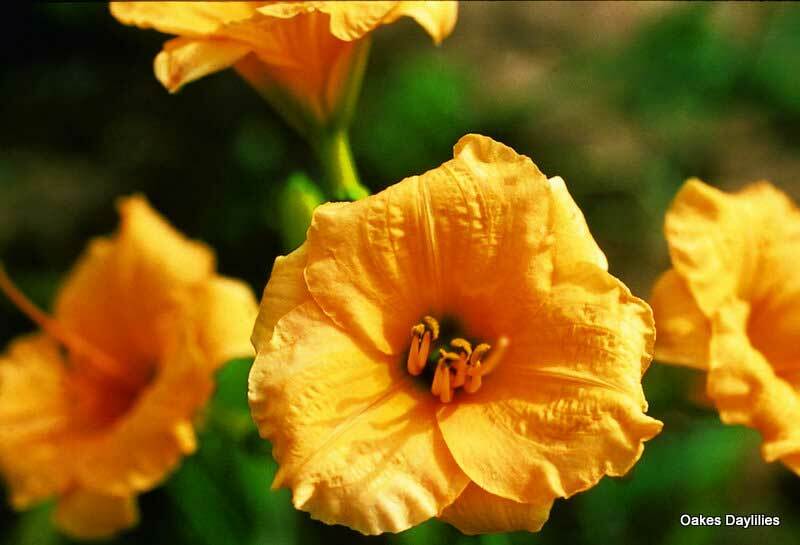 But the big surprise came when a very hearty rebloom blossomed deep in the summer. The flowers are small but very bold, and the low growth habit makes Leprechaun’s Wealth a great choice for spots toward the front of the garden, filling out a place in a narrow border, along a walkway, etc. This lily blooms very early in Wis. Right after lemon lily. We need all the time we can get, timewise. I ordered this one for the color and the round shape of the bloom, and I was not disappointed. However, it is so striking, it has become a favorite. It is not just gold, or orange, or apricot; but a autumn looking combination of all the above. Really like it. Ordered these the end of July. With our heat and dry summer(zone 9), very surprised they are now blooming. They handle partial shade during the day and are very striking in my garden. I planted some other varieties received in the same order, they have not bloomed but the plants are growing big and healthy. Cuter than a bug’s ear! Only wish it had a longer bloom season. 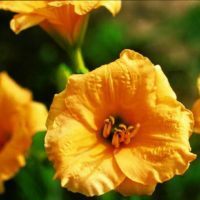 These have charming flowers that are great for the front of a daylily grouping – this is year #2 and they have to bear about 25% shade. They were nipped off by the deer last year – this year they had long-lasting blooms with many blooms per stalk. They grew taller than 15″ on most of my plants – some >24″. I planted these in November and they are blooming already in mid February. They are even prettier than the picture. A wonderful border plant that has taken off in my zone 7A garden. Grew to 24in in my garden. Phenomenal, lengthy bloom period of over one month. Rebloomed once in late September but we had a serious drought this summer.